If you like blowing bubbles, eating ice cream, or have a thing for swashbuckling buns, you'll love these merry mustachioed mammals. 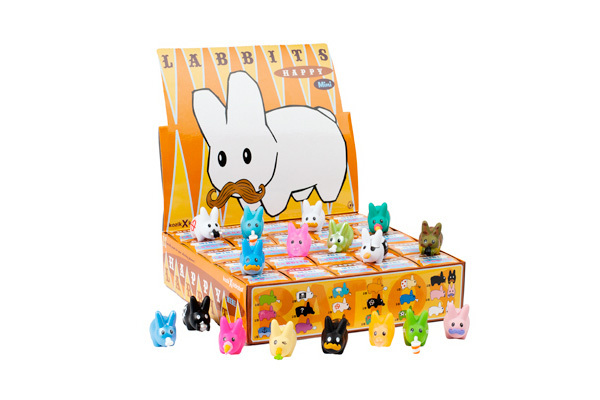 The Happy Labbit Mini Series is here, with 18 spanking new designs that know how to do it all - drink from straw cups, blow gnarly bubbles, and eat hot dogs in two bites. Collect one, or the whole mini vinyl crew. So good, you'll be happy too.